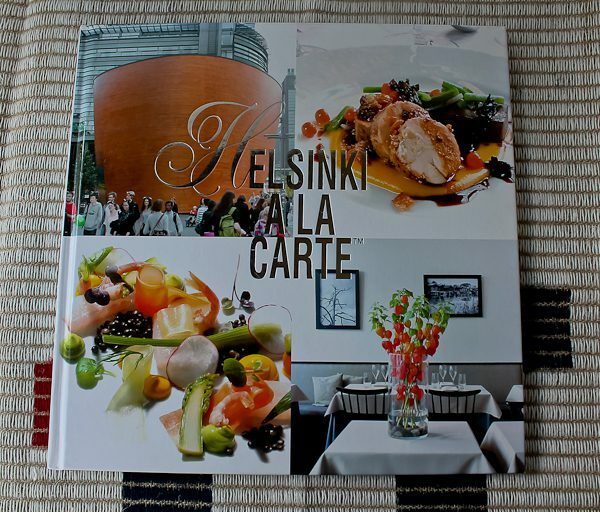 The new Culinary Cellar now has a cookbook that traveled all the way from Finland! We are so lucky to have the most wonderful family of many Finnish cousins. We fly there, they come here, and it’s going to be that way from now on. We miss them all the time. Recently, two of the cousins, Erkki and Marja came to stay with us. They also made a trip to Upper Michigan and Seattle to visit other American cousins. It was a wonderful trip for all. Erkki and Marja are two of the kindest and best people one could ever hope to meet. I can’t say enough good things about them. We are hoping to have a huge family reunion in the next year or so. 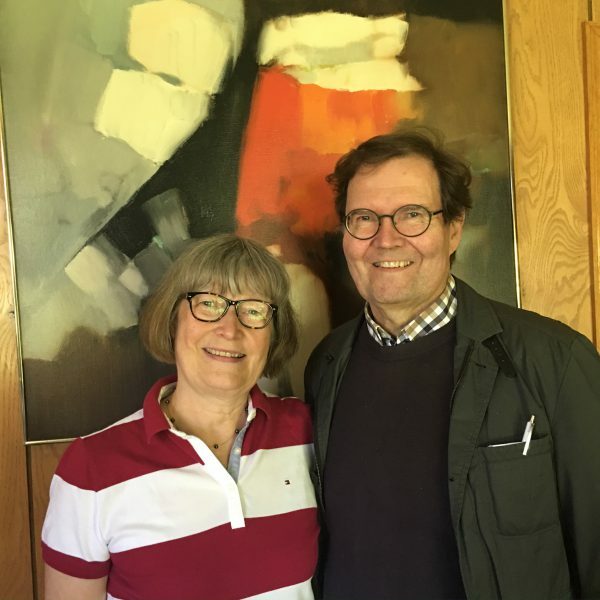 Erkki and Marja’s son, Martti, and daughter-in-law, the beautiful Paivi, sent along the cookbook for us with a note that it was to help rebuild the Culinary Cellar, but also sent a few bars of my favorite chocolate bar, the Karl Fazer Popcorn Bar. Paivi remembered it was my favorite. Unfortunately, one must go to Finland to find it. There are other Karl Fazer chocolates available online but none carry the popcorn flavor. Thank you, Paivi. And next time I come to Finland, I remember that you love super crunch peanut butter! Going back to the cookbook, it’s a beauty! All the recipes come from restaurants in Helsinki. Finnish food whether in a restaurant or from a home cook, always use what is fresh and local which means many varieties of berries, fresh rye bread, salmon and other fish, root vegetables, wild herbs and mushrooms, and so much more. Some of the recipes from the cookbook include a sugar-salted cod with a dill-tarragon mayonnaise and pickled vegetables; reindeer filet with potato cakes and smoked bacon with a dark currant sauce; and salmon pastrami with beetroot carpaccio and Parmesan flakes. The photos are breath-taking for these intricate dishes. But there is one very simple recipe that is seen in just about any kind of Finnish restaurant, the classic Salmon Soup. 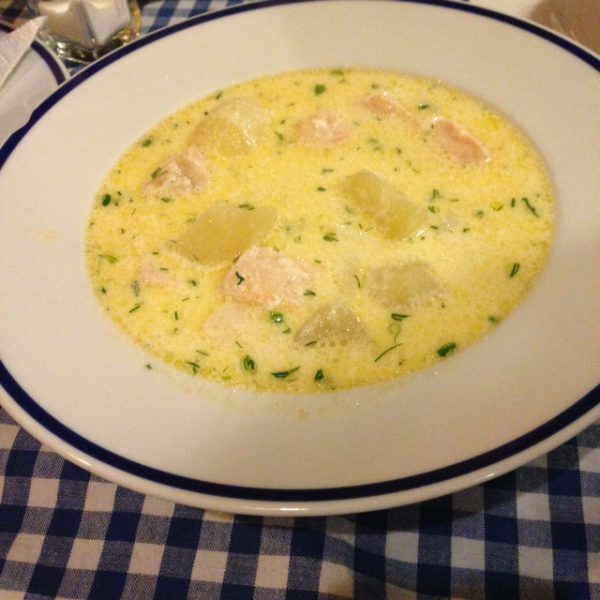 It is made the same everywhere, with big chunks of salmon, along with potatoes, onion, dill, fish stock, and cream. That’s about it. Always served with rye bread. This is not from the cookbook, but I snapped this photo of Salmon Soup when we were in Finland a few years ago. Just like I said, salmon chunks, potato, dill, and cream! I’ll include the recipe that’s in the cookbook because it sounds like every recipe I have ever seen for the soup. Some classic dishes can’t be messed with. Thank you for the cookbook and all the gifts, Erkki, Marja, Martti, and Paivi! I hope to see you all again soon, because I’ll be out of popcorn chocolate! But I can always make the soup. *Note: Sorry, this is how the recipe is written. It is a Finnish cookbook after all! I have no idea how much water is 8 deciliters! Peel and chop the potatoes and onions. Cook with the seasoning and herbs until almost ready. Remove the skin and bones from the salmon fillet and cut into large cubes. Add the cream and fish and cook on a medium heat for about five minutes. Add the dill and serve with toasted rye bread. Serves 4. Thank you for posting this latest cookbook arrival! 8 deciliters is 800 mL, so a little less than 3.5 cups….. and 200 mL of cream so, almost 1 C of cream. It’s not a lot of liquid. Thank you, Dana. I was hoping someone would figure out the conversion and post it here! The soup doesn’t have a lot of liquid. It’s mostly salmon and potato pieces. Such a nice cookbook and the soup looks delicious!! I’ve never seen measurements like those. Enjoy it, and your popcorn chocolate. I’ve never seen that either!!!! 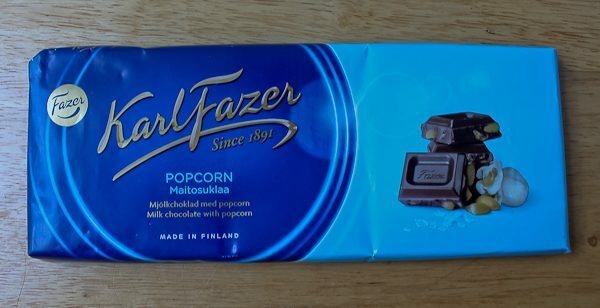 I had never heard of popcorn chocolate either until I tasted the Karl Fazer. They have so many other good flavors too like blueberry, licorice, hazelnut, peppermint, and so many more I can’t even remember them all. Most of the online ones only offer a few flavors, but in Finland, there are long aisles of them. It’s the most popular chocolate in Finland. How exciting to get the gift AND the givers! book looks beautiful. Thanks for the recipe. I have flash frozen salmon from Washington in my freezer. A gift brought by a dear daughter last summer. This should be a hit. I’m going to make sure she gets this recipe also. Hi Elaine! Watch your email. I’ll get back to you soon! ihana! Or, wonderful in Finnish! Sounds like a wonderful cookbook. You and Kristina will have fun in the kitchen with that one! But it sounds like you might not be willing to share your Fazer chocolate!! I do love the Fazer chocolate, especially the dark chocolate licorice bars. But I have a feeling I could easily switch to the popcorn being a favorite since I enjoy popcorn so much. I will hope to try a popcorn Frazer bar someday. Enjoy every bite! I see a popcorn Fazer in your future next time one of us travels to Finland!